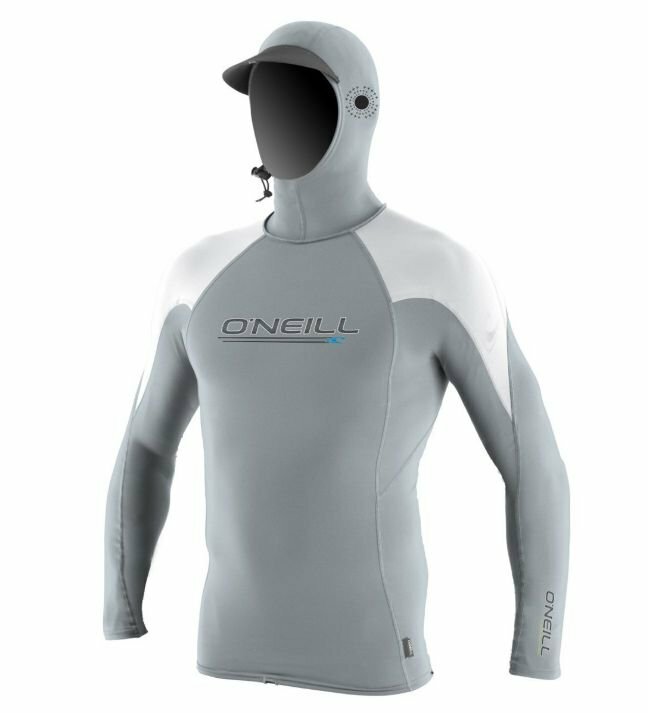 Experience exceptional comfort and fit with the O'Neill Men's Skins O'Zone Long Sleeve Hooded Rashguard. Providing 4-way stretch and UV sun protection, this long sleeve hooded rashguard fits like a second skin and adds extra utility with features like a boardshort connector and hood cinch system. 8 oz. nylon spandex fabric. Performance fit: form fitting tight layer fits like a second skin.